Q: I have a situation in my business that I need a specialist opinion on, can you help? A: Yes. 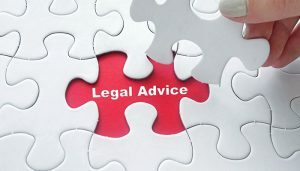 Our unique service will provide you with advice from specialist barristers. The right advice to help you make the right decision! We believe that getting expert legal advice early is the best and most cost effective way to make the right legal decision for your business. That is why we have come up with a new service. Have an initial discussion normally lasting about 20 minutes with one of our expert lawyers for only £35 plus vat. If you would us to look at documents or you think you will need longer we can provide a fixed fee for a full consultation. Typically an hour on the phone and reading documents is charged at £185 plus vat. We can arrange times to suit you. Our expert barristers and lawyers are chosen by us as they are specialists in the area you need help with.